Synonymous with style and quality, Grant Stone crafts some of the best boots on the market. 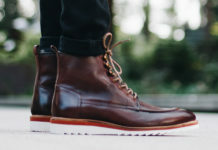 After putting their Diesel Boot to the test twice, we get our hands on one of their sleekest models to date, the Ottawa in Crimson Chromexcel. Offering a design that definitely means business, the Ottawa is a tough boot that doesn’t take no for an answer. It’s built to last and sturdy as can be. We give the Ottawa a closer look with a full breakdown provided below. Photography: Sean Martin for The Primary Mag. It didn’t take long for us to fall in love with the look of the Ottawa. It feels great in hand and the Horween’s Chromexcel leather upper is beautiful as can be. The Ottawa has been equipped with Grant Stone’s new Micro Stud Rubber Sole, which will get you through the toughest conditions all year long. The hand sewn moc coupled with the rubber sole breaks up the shoe and adds some much needed contrast. Lastly, leather laces and brass eyelets give it that rugged charm that we love so much. You can easily dress the boots up or down. 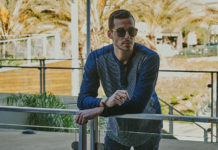 Pair it with your favorite jeans or even go for the dapper route with a suit or chinos. Like we experienced with previous models from Grant Stone, the Ottawa is extremely comfortable. They require minimal break-in time with a comfortable full grain leather lining and veg-tanned leather insole to go along with that rubber sole. With a Leo last, you might want to size down from your true boot size for the best experience. We definitely look forward to putting some miles on these boots for years to come. 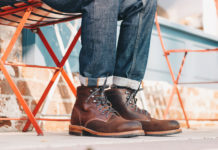 If the time ever comes to resole your Ottawa Boots, you will be able to easily replace the sole thanks to Goodyear welt construction. This is something that is highly coveted by boot collectors and definitely something to consider when you’re making your next purchase. 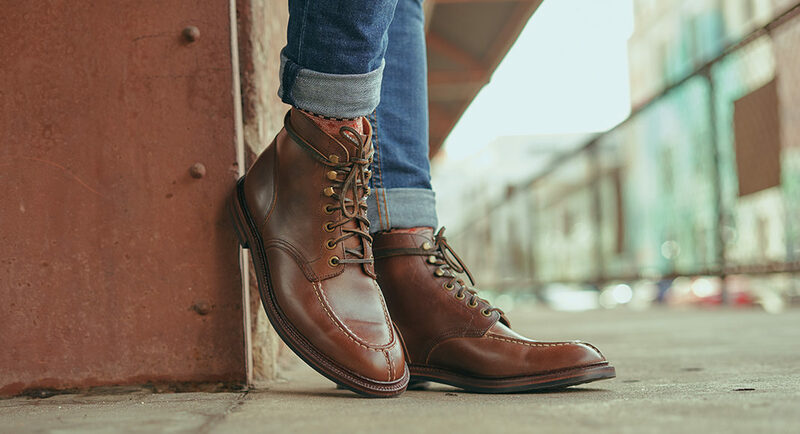 It’s really hard to not like the Grant Stone Ottawa Boots. Whether you’re a boot aficionado or looking to purchase your first pair, we’d have no problem recommending this model. The leather is beautiful with extreme attention to detail and high-quality materials being used throughout. You definitely won’t have to play it safe with these boots and can wear them with confidence. At $370, it might be more expensive for the entry-level boot consumer, but it’s definitely worth the investment and will hold up for years to come. Get your pair from Grant Stone today.